Welcome to another week of Pinterest Feature Friday!! Your weekly hosts are Michele from The Scrap Shoppe, Kara from Mine for the Making, Malia from Yesterday on Tuesday – and me – Bev from Flamingo Toes! This week our feature is Sarah from Sadie Seasongoods! Sarah has such fun boards and pins – 8450 pins to be exact! Let’s get started! I love Sarah’s “If I can DIM, you can DIY” board! 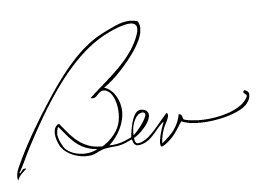 What a cute name – and so many cute projects too! Sarah’s Craft Night Ideas board has such fun ideas – perfect for a crafting party! You can find all of Sarah’s projects on Sadie Seasongoods board – you’ll want to check it out for all sorts of great projects! It’s not too early to start Christmas crafting – and Sarah’s DIY Felt Ornaments board has me wanting to start now! Let’s check out those pins!! 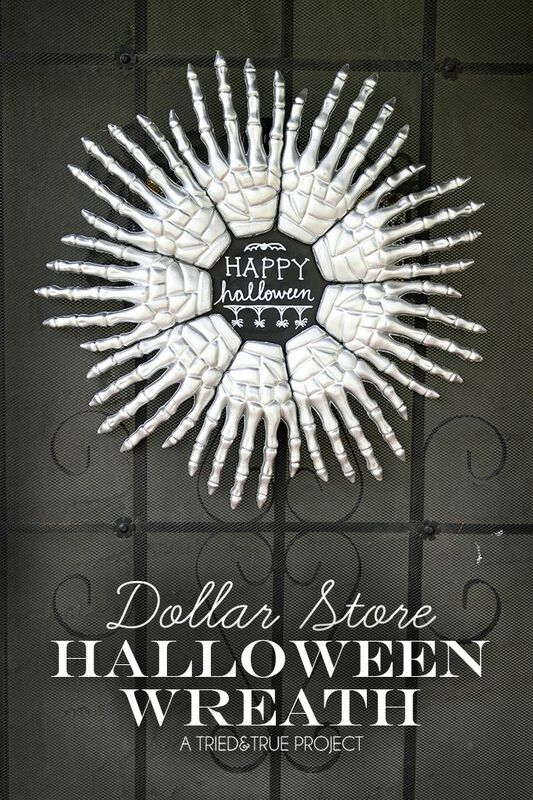 Look how clever and spooky this Dollar Store Skeleton Wreath pinned from Tried and True is! Oh I’m really loving this Cabinet made from an old window – pinned from My Repurposed Life! This is so creative! 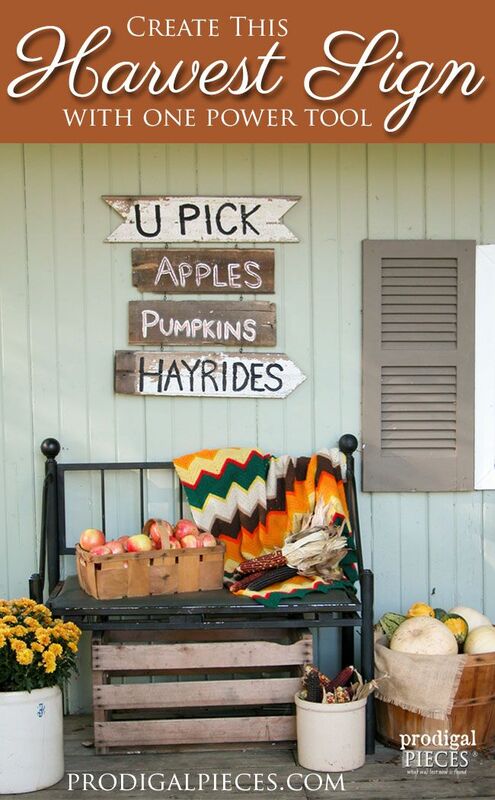 Isn’t this Harvest Sign pinned from Prodigal Pieces fun? It’s perfect for a Fall front porch display! I love a great repurpose! This lamp from a vintage cake carrier is just genius! Pinned from Lilliedale. 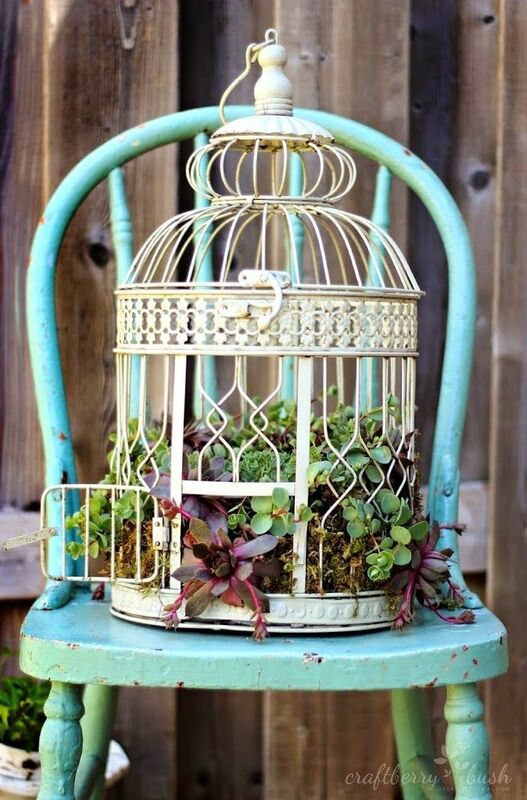 I love it when succulents are planted in fun, unique places and this birdcage planter pinned from Craftberry Bush is just so pretty! 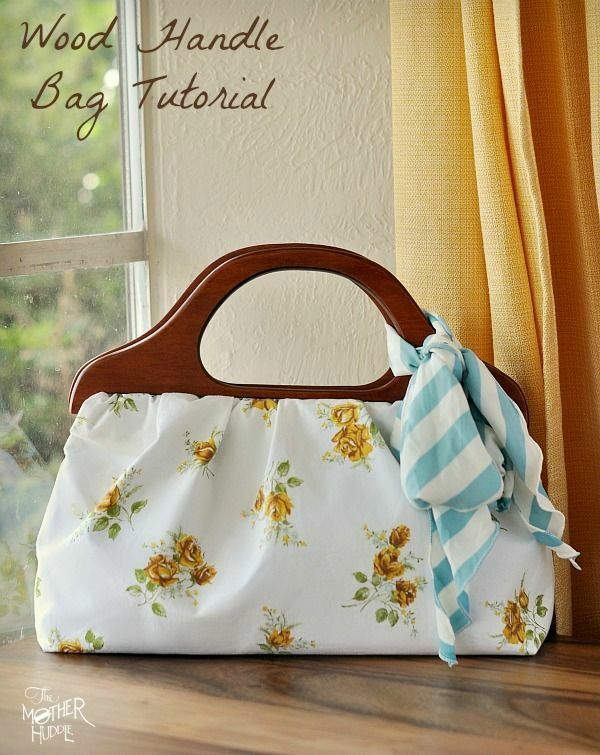 This Wood Handle Bag has always been one of my favorite projects – I even bought the wood handles! I just need to get sewing! Pinned from The Mother Huddle. I don’t think I can resist making up a Bookish Birdhouse – this is too awesome! No tutorial on this one but it doesn’t look too hard to figure out! Thank you so much Sarah for linking up – I had a blast looking through your boards and pins! Make sure you’re following Sadie Seasongoods for more pinning inspiration. And link up to the Pinterest Master List – you could be our next feature!! What an awesome collection of ideas! So stoked to see my harvest sign among them. Thanks for the love!